http://www.facebook.com/pages/Josh-Dafunk/114621406547?ref=ts English Bio: Josh DaFunk (dj and producer) began his hobby for the electronic music in the middle of 90's and when he was 14, he started to play the vinyl, ("Bert Vol. I- Rhythm" ; "Cosmic Baby- Fantasia" ; "Green Velvert- Flash"), amongst other classics of the 90's techno; on the influence of nightclubs as ACTV, Spook & Chocolate, in Valencia. In the en of 2009, he started to produce with him friend Ovidi Adlert and they created a track "Cocaine Train" which was the number 60 on the Beatport Top House and 16 top Tech House de Traxsource Track : Fabio Ferro,Sergio Pardo & Josh DaFunk - Rocker (Original). As a result for this, he continued producing and he has released by: Darkside Digital Records ,Tech It Recordings,Hotfingers ,Tuamotu,Maquina Music ,Dirty Deluxe Records ,Crystal Sound Records ,Comfusion Records ,Supermarket ,Six Sound Recordings. He has received support of artists like as: Mark Knight, UMEK, Marco Carola,Richie Hawtin, Roger Sanchez, Paul Oakenflod, Luciano, Paco Osuna, Loko, David Amo y Julio Navas, Tony Thomas, Markus Schulz,Fabio Ferro, Hollen, Vanilla Ace, Sergio Fernandez, Chiqito, Angel Stoxx Angelo Ferreri,Lorenzo Navarro and more artists. UMEK promote on his radio show # t = 0:02 https://soundcloud.com/umek/btic_148 Behind The Iron Curtain With UMEK / Episode 148 with Sergio Pardo Jordi Lazaro and Josh DaFunk PROMO Now a days he is resident dj in the most popular club in the mornings of Valencia (Lou Morning Club). He has played in clubs such as Row 14, Florida 135, Spook, Puzzle, Revival, Mixture, Area 46 NOD; and he has shared the flyer with artists like as: Jay Lumen, Adam Beyer ,Joseph Capriati, Da Fresh, ,Cristian Varela ,Steve Lawler, Albert Marzinotto, Carlo Lio Siwell, Ismael Rivas, Raul Mezcolanza, Joe Red, André Vincenzzo DJ Murphy Jorge Montia and more. 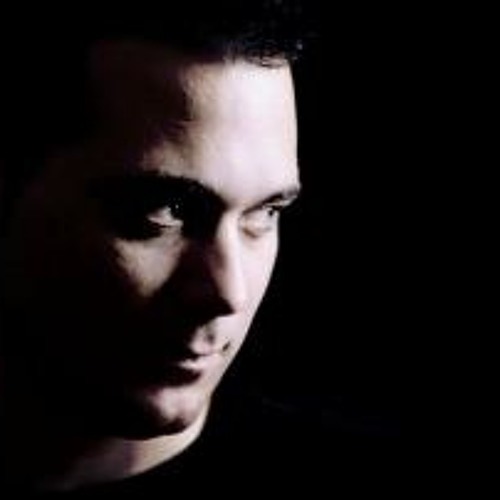 Spanish Bio: Josh DaFunk (dj y productor) comenzó su afición por la música electrónica a mediados de los 90, cuando cumplió 14 años empezó a pinchar con platos temas como (Bert Vol I-Rhythm,Cosmic Baby-Fantasia,Green Velvet-Flash), entre otros clásicos del techno de los 90, influenciado en las discotecas ACTV, Spook y chocolate, (Valencia). En el 2009, comenzó a producir con su amigo Ovidi Adlert crearon un track que sonó en muchas discotecas españolas y del extranjero Cocaine Train ,el que fue el número 60 en el Top House de Beatport tambien a estado en el top 16 de Tech House en traxsource con el track Fabio Ferro,Sergio Pardo y Josh DaFunk -Rocker (Original). Como resultado de esto, él continuó produciendo y se ha lanzado a través de sellos discograficos a nivel nacional e internacional : Darkside Digital Records ,Tech It Recordings, Hotfingers , Tuamotu, Maquina Music , Dirty Deluxe Records , Crystal Sound Records , Comfusion Records , Supermarket , Recovery House. Ha recibido el apoyo de artistas de la talla como: Mark Knight, UMEK, Marco Carola, Richie Hawtin, Roger Sanchez, Paul Oakenflod, Luciano, Paco Osuna, Loko, David Amo y Julio Navas, Tony Thomas, Markus Schulz, Fabio Ferro, Hollen, Vanilla Ace, Sergio Fernandez, Chiqito, Angel Stoxx, Angelo Ferreri, Lorenzo Navarro y más artistas. UMEK promociono en su radio show https://soundcloud.com/umek/btic_148#t=0:02 Behind The Iron Curtain With UMEK / Episode 148 su promo con Sergio Pardo Jordi Lazaro Y Josh DaFunk Hoy en día es dj residente del club más popular de las mañanas de Valencia (Lou Morning Club) Ha actuado en clubs como Row 14, Florida 135, Spook, Puzzle, Revival, Mixture, Area 46 NOD, y muchas mas. ha compartido cartel con artistas de la talla de: Jay Lumen, Adam Beyer ,Joseph Capriati, Da Fresh, ,Cristian Varela ,Steve Lawler, Albert Marzinotto, Carlo Lio Siwell, Ismael Rivas, Raul Mezcolanza, Joe Red, André Vincenzzo DJ Murphy Jorge Montia y muchos mas.